The games in the Assassin’s Creed series are truly modern-day classics. While the first title felt like a fresh take on Prince of Persia, it had some rough edges and felt like it could have done more. The second, however, was an absolute masterpiece that fleshed out the concept and created a memorable storyline of Machiavellian organizations squaring off (with Machiavelli himself in the mix). The sequels varied, with some adding in a handful of features and others going for a totally new experience. Overall, however, the series has gotten pretty long in the tooth, and 2015’s Assassin’s Creed: Syndicate, while well-reviewed, didn’t generate as much buzz. Now the folks over at Ubi have decided to take a break and they’re back with Assassin’s Creed: Origins. Does Origins help Ubisoft’s goal of breathing new life into the series? Well, to begin with, ‘breathing’ is an apt term to describe ancient Egypt in Assassin’s Creed: Origins, because the game’s setting truly does feel alive. The thing people forget about Ancient Egypt is that it looked much, much more splendid than its ruins suggest. I’m not just talking wear and tear; the ancient cities of Egypt were opulent and splendid, and the majesty of the pyramids reverberated through the known world. Assassin’s Creed: Origins manages to really convey that sense of majesty. The term ‘next-gen’ really is a cliché, but it’s as good a term as any to describe how much bigger and more complex the world feels this time around. It’s not just the majesty that makes the world feel impressive: it’s the attention to detail. Sand drifts around in bursts, wild animals plod along outside the cities, and the streets are filled with hustle and bustle. I get that even the term ‘living and breathing world’ isn’t all that new, but Assassin’s Creed: Origins still manages to outdo a lot of open-world titles. For the most part, Assassin’s Creed: Origins cribs from the playbook and stays true to the formula. Our protagonist this time around is Bayek, a grizzled veteran who can’t stand greed. Bayek is a pretty serious guy in most of the scenes, but they’ve added some levity and humanity in other sequences. What I think sets him apart is his determination. While nobody will ever top Ezio Auditore, I think I can safely rank Bayek over more recent AC protagonists. The thing is, he’s not a guy who’s always in control; he has a temper, and while his anger feels justified a lot of the time, it tends to be self-destructive. The storyline, of course, concerns the founding of the Assassin’s order. The Assassin’s Creed storyline has gotten pretty complicated over the years, so Assassin’s Creed: Origins gets to be a sort of prequel/reboot and start with a clean slate. On the whole, the game is better for it, and the writing feels a lot fresher this time around because it’s not bogged down by continuity. Speaking of continuity, this game takes place in the last days of the majestic Egyptian empire, long after the pyramids were built. As such, it’s at a sort of crossroads: Egypt is still grand, but there are sinister forces that threaten to tear it apart. And – you guessed it – that’s where Bayek and his boys come in. In terms of gameplay, Assassin’s Creed: Origins has overhauled the whole deal. It’s much more in line with other open-world titles now: there’s crafting, item collection, and quest-hunting, but it’s more streamlined and focused than before. You don’t have to grind as much, and the hunting is some of the best Ubi has put out. The biggest modification has to be the parkour. AC games have tuned the game’s famous parkour time and again, but Origins manages to really switch up the style and make it much more fluid. The biggest godsend, however, is the combat. The one area where AC always felt like it lagged was combat. While titles like Witcher, Dark Souls, and Nioh popularized highly technical combat based on timing and positioning, AC felt like it was relying on a more basic system. Not so with Origins, which is for all intents and purposes an action-RPG. However, the focus on combat is a little too successful. The game has fallen into the same rut as other AAA games: the stealth feels dumbed down. I didn’t really get the sense of diverse stealth challenges like in Assassin’s Creed: Unity or the more elaborate sneaking and distracting in Syndicate. The very fact that a lot of moments call for all out violence shows that this time around, stealth is not the main attraction. Visually, Ubisoft’s latest is rather spectacular to look at, with a precise artistic direction which is without any major issue. Thanks to the variety of the Egyptian vista, the game’s engine shines as it greatly paints desert dunes, mountain ranges, oasis, other than your villages and cities. When it comes to the latter, some are overwhelmingly booming with life, and sometime so vast that you’ll easily get lost in the midst of all the things to see and do. You just wait until you enter the street of Alexandria, which is a technical feat in terms of running on console fluidly, with barely any stutter when loading the area. However, some “traditional” bugs can occur, such as weird collision, and some framerate drops when too many things are happening at the same. While the console version has been optimally done for the Xbox One X, making full use the HDR broader color palette, as well as native 4K, the 1080p counterpart version is still great to look at. On PC, on the other hand, the game runs quite smoothly, breaking the curse of most Assassin’s Creed games on that platforms. There’s a rather stable framerate of 60fps whether you play on low or Ultra High settings (activating Ubisoft’s own traditional Ambiant Oclusion instead of usual HBAO+), but you’ll notice some drops in busy areas such as the streets of Alexandria all the way to 50FPS. But even with a normal basic gaming PC spec (ours is listed below at the end of the review), you’ll be able to play at peak performance without having to upgrade anything dramatic, with clear shadow and lighting effects, great work on the rendering and tessellation, and reach rich colors. 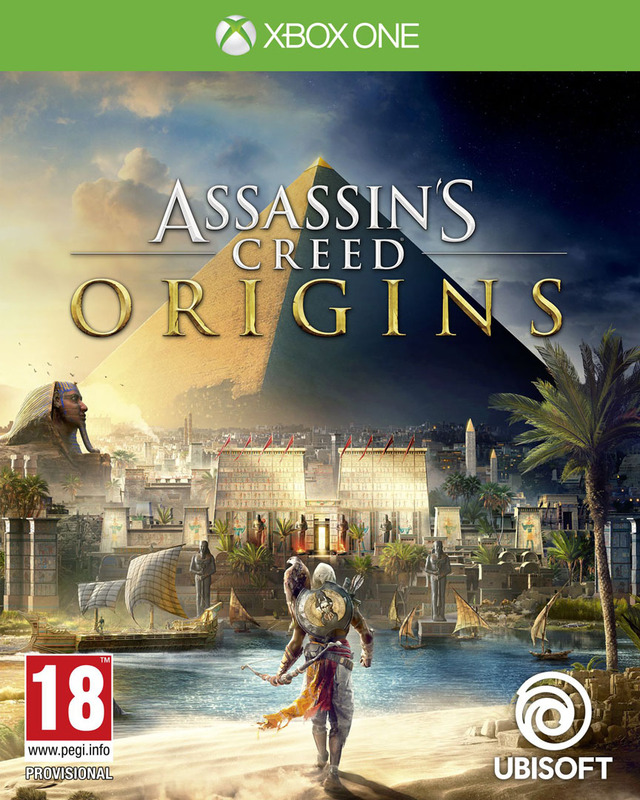 Assassin’s Creed Origins was reviewed using a PC and Xbox One downloadable copy of the game provided by Ubisoft. The review was tested on a PC running Windows 10, with an 8GB NVIDIA Geforce GTX 1070 fitted on a 4th Generation Intel i7 4790 3.6Ghz CPU and topped with 16GB of RAM. The game is also available on PlayStation 4 in both retail and online store releases. We don’t discuss review scores with publishers or developers prior to the review being published (click here for more information about our review policy). Assassin’s Creed is back in fantastic form, and Origins it’s a title that any fan of open-world adventure titles shouldn’t miss. Assassin’s Creed: Origins brings a lot of new ideas to a tried and tested formula, and while it downplays classic elements like stealth, it refines most of the core gameplay with expertise, creating a memorable experience.